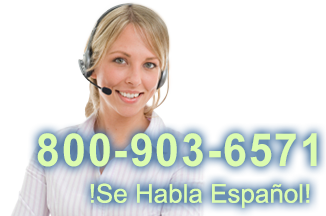 This product replaces the older DataLogic Heron. 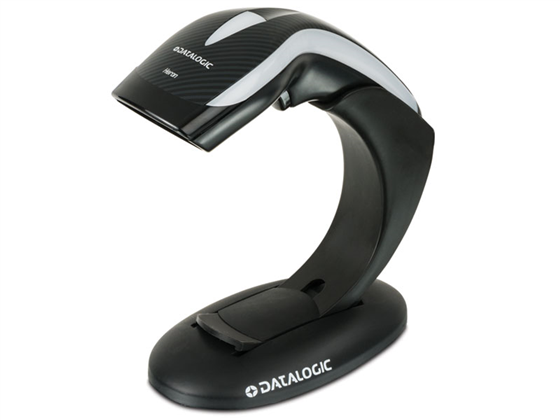 Datalogic's next generation of barcode imagers combines performance with elegance in the Heron 3100 imager. Designed to enhance the customer experience at check out with its sleek appearance and customizable sounds, the Heron 3130 imager is a great choice for medium to high volume retailers. Boasting 270 reads per second and a 5 year factory warranty, Datalogic did not compromise quality for appearances. The Heron gives you the ability to transform your point of sale from ordinary to extraordinary leaving a memorable lasting impression with your customers. 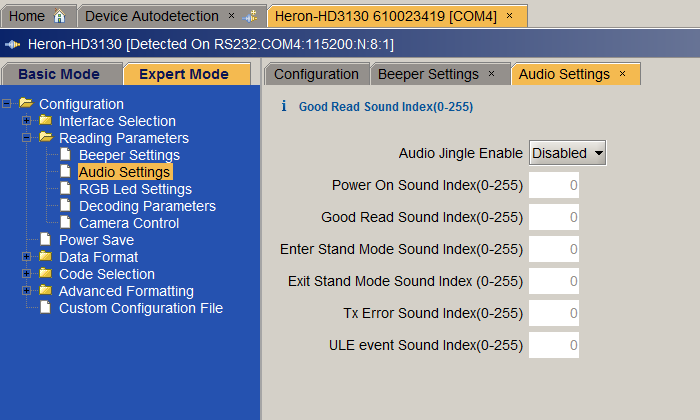 We've added the Aladdin configuration tool to the downloads so you can get the most out of your Heron's light and sound features. Visit our blog for more information on how to change the lights and sounds on the new Heron. My Heron HD3130 is refusing to use solid colors. When I scan it it gives 3 beeps but then still doesn't hold its color? The firmware on the scanner may be out of date. You will need to update the scanner using the Aladin configuration tool and a new firmware file to get it to hold solid colors. 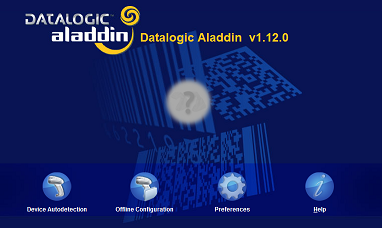 Install the Aladdin tools on your machine. How do I remove certain beeps or tones from my Datalogic Heron? Find it faster! 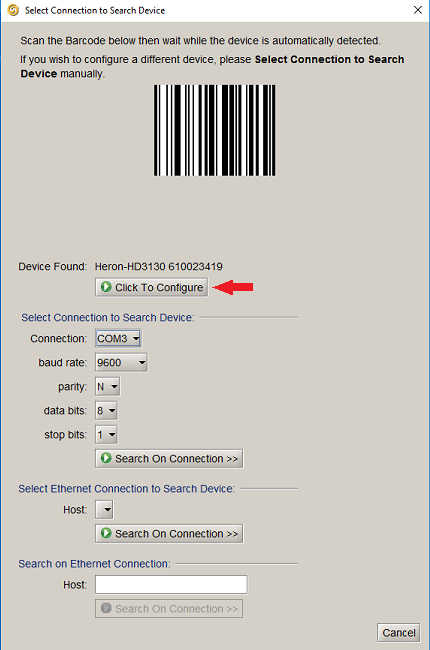 Click here to compare Heron 3130 models by feature. Hi, Travis with POSGuys.com. 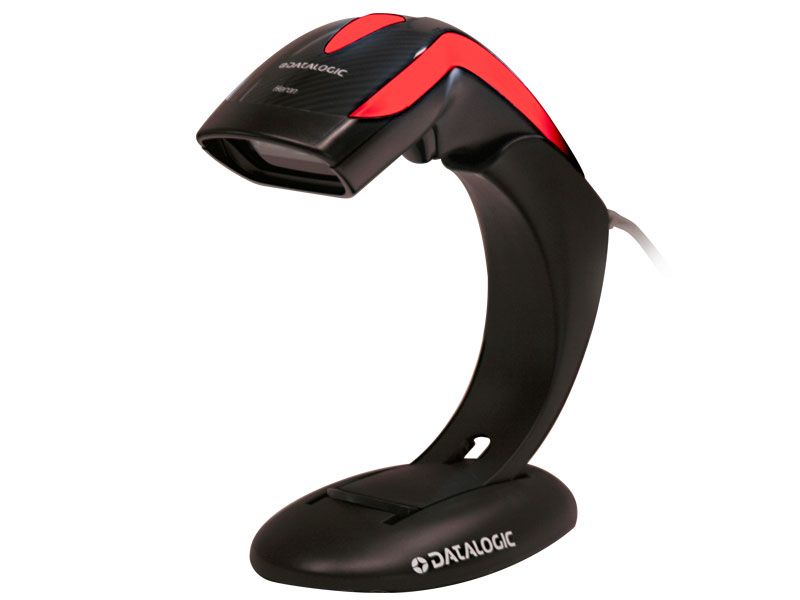 Today we're taking a look at one of the best retail scanners out there, the DataLogic Heron series. This is one of the most customizable scanners, you can customize the sound, the LED lights on it, and the overall look is just very retail-centric. It has kind of no styling in regards to an industrial warehouse look, it's all for retail. The first thing you're going to notice about the new Heron is the color-changing mode. This is in rainbow kind of rotating mode, which is prtty cool if you're running maybe a kids store or an amusement park or something. If you want to go with a solid color though, you can. Its easy, you just scan in the barcode, and now it's going to reset itself, and then it will be in just a single color. So now it's just in yellow. If I want to change it to blue, scan in the barcode for blue, and then when it comes back on, it's going to be a solid blue. So that's kind of, you can customize it to meet your store. If you're a school store or something and your colors are blue and green, you can actually set it up so it's going to be blue and green and kind of alternates between the two. So the LEDs are very customizable. In addition, when you scan a barcode, it changes to the green. You can customize that as well, to being red, being blue, whatever. Whatever you want to designate as your correct scan color, you can set it to. The next customizable feature to take a look at is the audio on it. There is a big speaker on the bottom, most scanners have just a little tiny hole on it, this is actually a bigger polyphonic speaker. What this allows is to install sound files. So instead of just kind of beeps and stuff, you can set up little audio files on it. When I power it up, I have one sound, put it in the stand you get a sound, and then when you scan a barcode. So if you're running a game store, you can program some kind of recognizable sounds into it, or a football store, you could make an audio file to say "touchdown" every time you scan, so you can program in sounds. Pretty cool retail option, pretty unique. The 1D version scans 1D barcodes very well, it does not scan 2D barcodes, so you can't be doing registry with them. But as far as 1D performance goes, this is an oversized barcode, you can get from very close, back up. You can get several feet away. On a regular sized barcode, like a UPC barcode, you're going from basically contact out to 2 feet, it's about 24 inches. 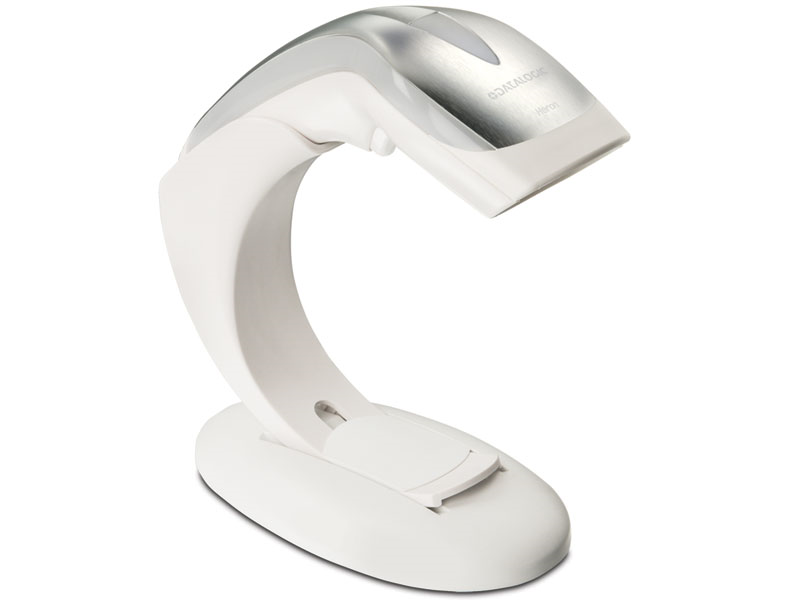 When placed in the stand, it goes into automatic autosensing, so you just pass the barcode under and it scans. As soon as you take it out, you're in trigger mode. Your regualr UPC, ISPN, EAN barcodes all work perfectly good with the 1D scanner. The 2D scanner scans even better. 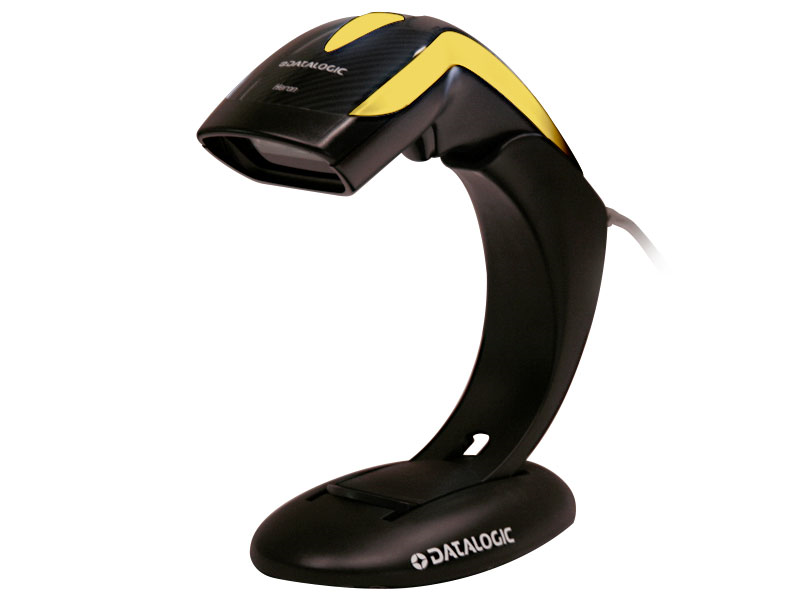 So the 2D scanner does all the barcodes that the 1D barcode does, but it's even more aggressive, and the big benefit to 2D barcode scanners is you can scan at any angle. So the 1D barcode, when you have to line up the barcodes across, the 2D barcode you scan at any angle. So that's really convenient. Additionally, you can scan off phones, and you can scan 2D barcodes, so like shipping codes, drivers license for getting registry, order tracking, and the whatnot. So more angles, you can scan more types of barcodes, and you can also scan off of phones really really well. Both your scanners are going to work pretty good in direct light, much better than a laser scanner. So whether you're indoors or outdoors, you're going to scan just fine with either one of the versions, but the 2D in particular works excellent under all lighting conditions. If you look at the reticle system on it, it's a white light with red crosshairs. The 1D version is just a standard 1D laser, 1D line on it, it's not a laser. The new Heron HD3100, that's the 1D version, or the HD3430, that's the 2D version, are both highly recommended scanners, especially for retail. 5 year warranty on them, excellent, IP40 seal, so if you you need to spray them down, you can. It also comes in black, which has a carbon-fiber finish to it, or a white and a silver kind of look to it. Matches really well with the POSGuys white printer and the Stratus white cash drawer, there's kind of a white/chrome thing going on with all those products. USB interface is going to be your most common, but if you need PS2 or serial, it's also available if you're going to be using a computer that requires one of the older types of interfaces. It can work with the Aladdin software for configuring it, so you can plug it in to your computer, load up your software, change your specs, hit save and it will update your scanner to whatever colors you want, whatever sounds you want, enable/disable barcodes, etc. You can also configure most of the settings on the scanner with just using barcodes, the colors, we have a sheet just specifically for the colors in general. 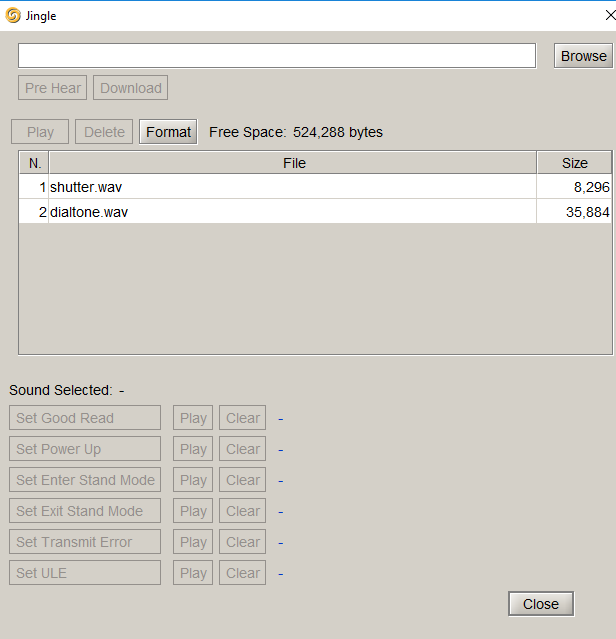 Sound files will require interfacing with the Aladdin configuration software. The DataLogic Heron 3100 and 3430 are both highly recommended scanners from POSGuys, especially if you're going in to retail. To purchase them, or for more information, please visit us at POSGuys.com. Thanks!